BBS-DWLV station manager Edwin Lara, who is also the newly-elected vice chairman of the Kapisanan ng mga Brodkasters ng Pilipinas (KBP) Camarines Sur Chapter, was named Most Valuable Player (MVP) in the recently-concluded basketball exhibition game this morning in Albay. Reports say that Lara scored 27 points for KBP Camarines Sur, while Ron-Ron Enon, also of BBS-DWLV had 24 points. Mike Marfega of DWNX also added 21 points. 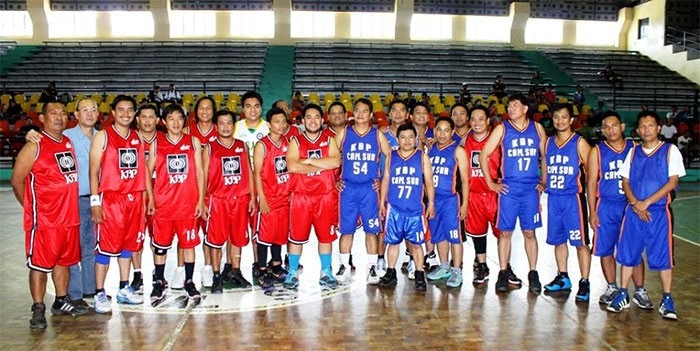 The friendly game ended with 95 points for KBP Camarines Sur and 83 points for KBP Albay.